How would you like to bend a coin so clean and direct that it's undeniable? Look no further. This is it! Throw away your Sharpies, because with a coin bend this clean, there's no need for validation. No need for expensive gimmicks and it's affordable. Imagine... you borrow a coin from a spectator and wrap your hand around the coin. 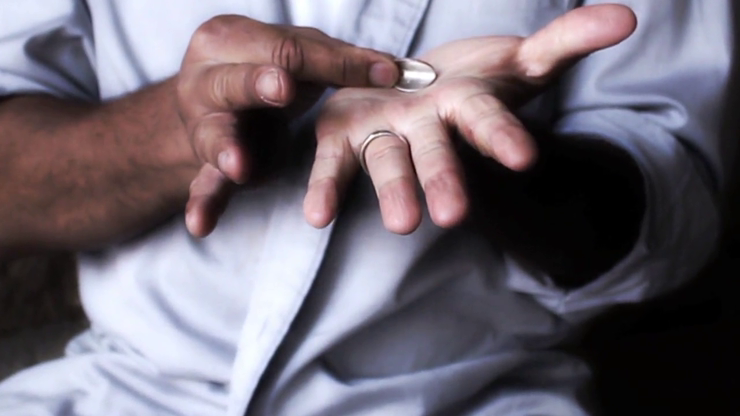 As soon as you close your hand, you open your fingers one by one to reveal a bent coin. It's that good! You're going to love Cleanest Coin Bend 2.0. Get your copy today. "The cleanest bending mind bender I have seen. Great for close-up magic in the streets, restaurants, anywhere. Don't miss out on the Steven X Cleanest Coin Bend." "The bend is over so fast it will bend their minds. Leaving you open for some amazing presentation."